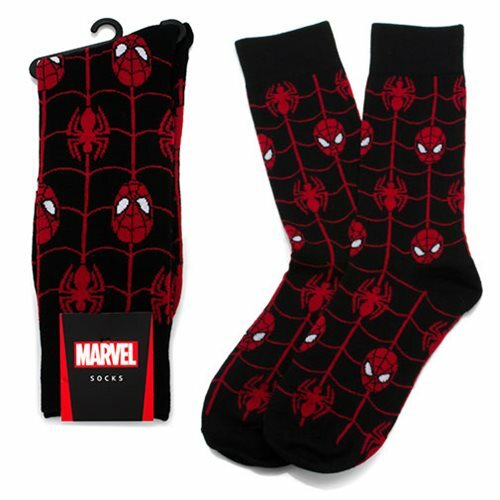 Show your love for Marvel Comics The Amazing Spider-Man with these amazing socks! The Spider-Man Web Black Socks feature a pattern with the Spider-Man's face and web. Made of 59% Viscose Jutecell, 36% Polyester, 1% Spandex, and 4% other. One size fits most (up to men's 12). Ages 14 and up.